One of the most popular microphones for online live streaming is available at a great price today, and you get a free game too. Our pals over at Macworld reviewed the Blue Yeti way back in 2010 and loved it. Admittedly, it’s a little on the bulky side, but you get great sound, a gain knob for adjusting input levels, pattern selection, and a mute button. The Blue Yeti is one of the most popular USB microphones out there and is a favorite among live streamers, podcasters, and many others who need to record high quality sound online. Its patterns are very flexible for multiple recording situations. You can, for example, use the omnidirectional capture pattern if you have a bunch of people gathered around the mic, or switch to bi-directional for a one-on-one discussion. If you need to talk online there’s just no question this is the mic you need, and today it’s available at a great price. On top of that you get one of the most popular games of 2018 for free with your purchase. 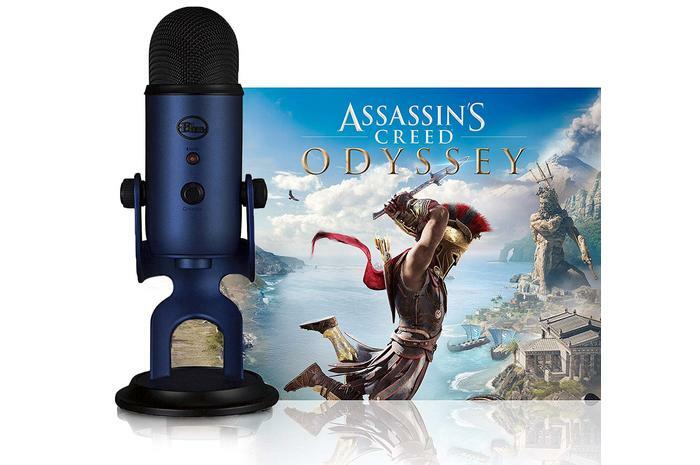 This story, "The awesome Blue Yeti microphone is just $100 today, with a free copy of Assassin's Creed: Odyssey" was originally published by PCWorld.